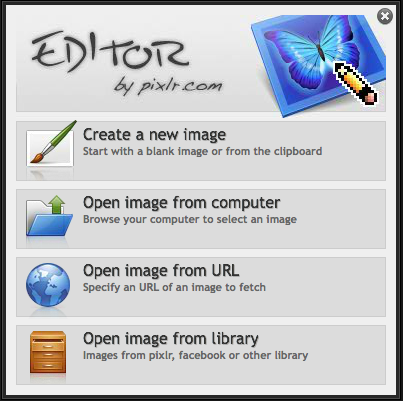 From the Editor by Pixlr.com box in the middle of that page, click on ‘open image from computer’. Select your image from your computer and click ‘open’. From the navigation bar at the top of the page click on ‘image’, then on ‘image size’. Make sure that the Constrain Proportions box is ticked (unless you don’t mind if your image goes out of proportion) and enter either the width or height in pixels that you want the image to be. If you have ticked Constrain Proportions, the width or height that you didn’t enter will have automatically entered itself.